The Panasonic EP30007 Real Pro ULTRATM with advanced Quad-Style massage technology massage chair is specially made massage chair that is made in a limited quantity and imported directly from Japan. The Ep30007 comes with some additional touches that you will not find on the other Panasonic models of the Real Pro line of massage chairs. 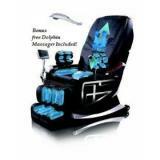 With its unique massage head design the user will be able to choose from four popular style massages while sitting in the chair. 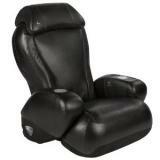 We found Amazon.com to have the best prices on the Panasonic EP30007 massage chair. Click here to check it out. Panasonic added a very special and unique touch to the EP30007 massage chair; dark faux wood inlay. These inlays were placed on the tops of both armrests of the lounger and added a very nice touch. This is sure to appeal to people that are interested in the uniqueness that this kind of accent brings to the look of this machine. 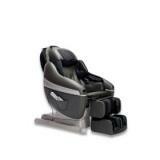 The EP30007 Panasonic massage chair includes their advanced Quad-Style Head Technology. With this unique head technology you will be able to experience the following massages; Shiatsu, Swedish, Fist Kneading and Grasping. This gives the user a much wider selection of massages to choose from. The aforementioned Quad Head technology targets the 350 acupoints throughout your body by duplicating the four popular styles of massages. The results are your body is left with more invigorating energy and more relaxed. Along with the four head massage technology; Panasonic goes another step further with sensor technology that virtually takes a picture of the contours of your back. With this picture in mind it knows where to go and not go to create the perfect massage every time. The EP30007 Real Pro also has an additional feature for your lower body. The lower body massage is broken down into three parts; seat massage, calf massage and leg stretch. Based on the reviews that have been posted online Panasonic has designed an awesome massage chair. One of the reviewers commented that the design of the massage chair reminded them of a single person sofa and not a massage chair. 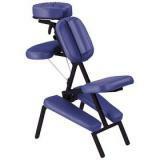 A reviewer pointed out that the Panasonic EP30007 has chopping/tapping massage unlike any other on the market. This massage chair is like no other massage chair they have ever had the pleasure to sit in. According to one reviewer if you are simply sitting in the chair and not using the messaging you can feel the mechanics underneath. Another negative was that there was not much room for arm rests. The vast proportion of reviewers had none of these issues. If you also head over to Amazon they have reviews from other satisfied customers so you can be even more sure about this great Panasonic massage chair. Click here to read more reviews. After reading through all of the reviews that I could find online and evaluating the good points and bad points that we talked about, I have concluded that the Panasonic EP30007 Real Pro massage chair is well designed massage lounger that delivers as advertised. Though it is a rather expensive machine, if you are looking for the benefits that a massage lounger delivers than by all means go for it. You will not be disappointed. 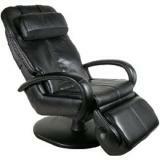 How would you rate the "Panasonic EP30007 Real Pro ULTRATM Massage Chair"?